WHO IS EVENTS BY LIFT? Events By Lift is the event-centric branch of Lift Consulting, a San Diego-based company founded in 2015 by Amy Truesdale. We are a small but passionate team that would love to help you plan the event of your dream! Contact us today to start your planning process. Read more about Amy on the About Me page! I LOVE EVENTS BY LIFT! CAN I JUST HAVE YOU DO EVERYTHING? Almost! Events By Lift offers an incredible team of event planners, designers, and specialty rental décor. While we love all aspects of event production and truly want to make your day as perfect as possible, we may refer you to another wonderful industry professional if we feel they may better fit for you and your event. Yes! Please view our Design page for more examples of our previous design work. CAN YOU DO DAY-OF COORDINATION? Yes, we have two packages for Day-Of Coordination. 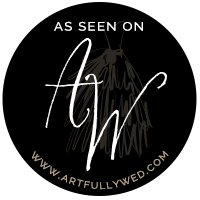 Please view our Coordination page for more information about how we can help you plan your perfect wedding or event. For any non-wedding Day-Of event coordination inquiries, please review our hourly event management rate. 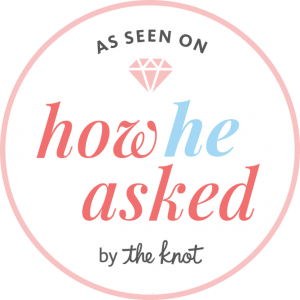 DO YOU DO MORE THAN WEDDINGS? Events By Lifts has a wide variety of services that are not just limited to weddings! Our specialty décor rentals, table top settings and accessories are perfect for your intimate parties and themed events. Our event management team is trained to handle all situations as well – from baby sprinkles, weddings and elopements to corporate seminars, speaker events and concert event management our team will help create the perfect atmosphere for your celebration. Events By Lift asks for an initial, nonrefundable, payment of 50% of your rental order upon booking as well as a signed copy of our rental agreement to secure your hold. The balance of the rental charge, any delivery charges, any styling fees and coordination fees and a fully refundable damage deposit will be due 15 days before your event. Events By Lift has a minimum rental fee of $250.00. IS DELIVERY INCLUDED IN YOUR PRICE? Delivery is a separate fee and is based on your specific order. We consider the mileage to and from your location, number of movers needed to facilitate your order, time of delivery and pickup, and any special load in/load out requirements. We carefully package and label all of our tablescape to ensure that it will arrive safely and organized. We include rental fee for 24-hour period and item cleaning fee in cost. CAN WE PICK UP RENTED ITEMS? The items in our inventory have been carefully hand selected and are lovingly taken care of. In order to keep them in their best – vintage – condition all orders must be delivered and picked up by our Events By Lift team. AM I RESPONSIBLE FOR ITEMS THAT ARE STOLEN OR DAMAGED AT MY EVENT? Unfortunately, yes. We understand that sometimes things happen and breaks or spills are part of the business. However, if one of our side tables walks away from your event the credit card held on file will be charged to replace the item. We state clearly in our rental agreement that if an item is irreparably damaged or lost, we charge four times the rental cost to replace it. Any other damage charges will be deducted from the damage deposit placed on the account and the remaining balance will be then returned to the client. HOW DO I CARE FOR THE RENTALS? The most fragile pieces in our inventory is our vintage china. The china should not be placed in the dishwasher or heated. If our tea party sets are used for tea or coffee, please rinse thoroughly so as not to stain china. Before being returned, any dishware, glassware and flatware must be scraped of food particles (rinsed if possible), emptied of liquids and packed in the crates in which they were delivered to avoid a cleaning fee. If any glassware is delivered with packing materials, please return in similar condition.